© Copyright Alejandro Santiago 2018. I won Adorama’s Best Shot of 2012 Contest! I received some awesome news the other day–I won Adoramapix’s Best Shot of 2012 contest for my photograph, “Crossing Queens Quay”. Thanks Everyone for your support +Adorama for my new Nikon D600 camera. You can read a little interview I did about street photography and winning the contest on Adoramapix’s blog. 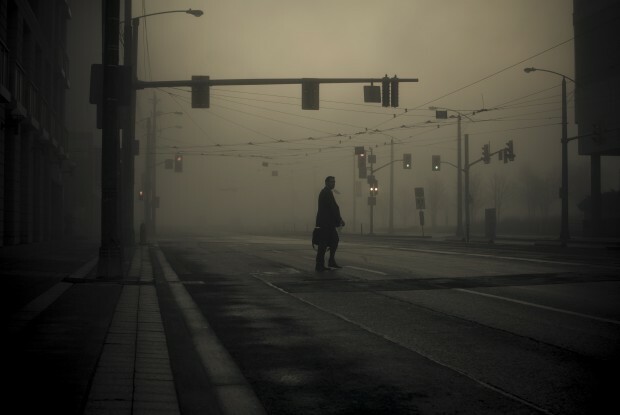 This photograph was taken on a foggy winter morning in 2012. I remember watching the fog outside my window and not being able to sleep. I packed my camera and took to the streets before sunrise. The photograph was taken just a block from Lake Ontario. This man was crossing the street to get on a streetcar. This was an important morning for me because I made a choice to wake up, explore the streets with my camera and make photographs. That’s how creativity is — you need to claim it. I’m working on tracking down the man in the photo. I would love to give him a print. If you know him please contact me!